This paper discusses the implementation of a university teaching module, based on Lucy Green’s (2008) informal music learning model. The synergy between Green’s model and Paulo Freire’s critical pedagogy is addressed through explanation of the module and its practices. The module was offered six times, from 2011 to 2016, as an action research project on a mixed-mode distance education undergraduate music program at the Open University of Brazil. The choices of technology in the module were aimed at promoting interactions in a dialogical, humanizing, and problem-posing approach to education in order to achieve conscientization (Freire 1970). However, the uses of technology and some of the practices of students led the author to ponder discourses of technological determinism. Keywords: Green’s informal music pedagogy, Freire’s humanizing education, critical pedagogy, technological determinism, Open University of Brazil. At a time that education is viewed as a commodity and not as a human right (Torres 2013, 91), and neoliberalism works to make education productive and competitive, deskilling teachers and reducing the roles of learners to consumers, critical pedagogy is highlighted as a possible way to counterbalance that view and to revive humane values in education and society. With its civic purpose of education and potential to “intervene in the world in order to address major social problems” (Giroux 2011, 13), critical pedagogy thus informs the discussion in this paper. Although critical pedagogy is related to different “progressive” movements, they all tend to share an “uncompromising allegiance to the liberation of oppressed populations and revolutionary efforts to establish emancipatory forms of praxis within schools and communities” (Darder, Baltodano, and Torres 2017, 27). This is often associated with the work of the Brazilian educator Paulo Freire. According to Freire (1970), there is a mode of consciousness which “does not have sufficient distance from reality to objectify it in order to know it in a critical way” (461). He called that mode “semi-intransitive” consciousness, which he related to closed structures where silence is usually imposed and challenges are restricted to biological needs. When those closed structures begin to crack, people realize that they are both in and with the world and with each other. At that point, their consciousness develops from a state of “semi-intransitivity” to a state of “transitivity,” which Freire related to transit, movement, or change. However, “the transitive consciousness emerges as a naïve consciousness, as dominated as the former [semi-intransitive consciousness]” (Freire 1970, 463). In order to overcome this state of naiveté (or false consciousness) and achieve “conscientization,” or the state of “critical consciousness,” people need to be engaged in praxis—their actions, and reflections upon those actions and upon the world (Freire 1970, 471). This amounts to a constant process of “becoming” more fully human and, thus, humanizing ourselves. Understanding dialogue as praxis, Freire invited us to problematize our reality in order to develop our conscientization and, ultimately, our humanization. One course of action to which Freire and other critical pedagogues subscribe, is a dialogical and problem-posing approach to education, which values the knowledge learners already demonstrate in their educational process. Attuned to this, Green’s (2008) informal music pedagogy also values learners’ musical knowledge and skills, motivates learners to decide on their learning process, and challenges “traditional” roles of teachers and learners. Green’s model was thus chosen as a teaching approach with the potential to intervene in educational contexts as an attempt to balance power relations, and to empower both learners and teachers as musical knowledge producers, contributing to achieve a liberating music education. This paper will discuss how I adapted Green’s model to a mixed-mode distance music teacher education undergraduate program offered by the Universidade de Brasília since 2007. This mixed-mode of education requires university lecturers to plan and design a module to be implemented by two types of tutors: one type who interact online, called associate tutors, and another who supervise face-to-face activities of undergraduates spread through different locations. The latter were called local tutors, based in local establishments called support centers. The module portrayed here was designed and implemented by the author, who was both the researcher and the module supervisor, interacting directly with those types of tutors and, sometimes, with undergraduates. Since neither of those tutors participated in the planning and in the design of the module, I considered it essential to be in constant dialogue with them throughout the module, trying to incorporate some of their ideas as an attempt to minimize the fragmented participation they usually had and the potential feeling of alienation from their roles as teachers. Besides such a separation of conception from execution, Apple and Jungck (1990, 230) alert us to the process of deskilling, in which “employees lose control over their own labor [and] the skills that they have developed over the years atrophy.” My attempts to validate tutors’ skills and to build a dialogical process with both kinds of tutors while supervising the module, included the use of social media and videoconferences. Technology, thus, will be discussed both as a means to adapt the module to the distance education context, and as a possibility to connect and integrate teachers and undergraduates in the module. Firstly, I will explain Green’s (2008) informal learning model and relate it to Freire’s critical pedagogy. Then, I will present the adaptation of Green’s model to the Open University of Brazil, considering both online and face-to-face moments, illustrating the cycles of action, reflection, new planning, and new action in the six iterations of the module. Following this, I will discuss how technology was planned for the module and how it was actually used, questioning the extent it could help strengthen or weaken “humanizing” bonds while facilitating learning and teaching music. Green’s model is based on five principles found in informal learning practices of popular musicians (Green 2002): (1) learners choose the music; (2) they try to copy that music by ear; (3) they learn alone and in friendship groups; (4) they tend to assimilate knowledge “in haphazard, idiosyncratic and holistic ways, starting with ‘whole,’ ‘real-world’ pieces of music”; and (5) they integrate the practices of listening, performing, and composing, with an emphasis on creativity (Green 2008, 10). Owing to Green initially deriving her model “from a sample of fourteen all-white participants, twelve of whom were male, all of whom played what can be loosely described as white-ethnic rock,” Allsup (2008, 4) suggests that informal learning is interpreted as the learning of that specific type of popular music, narrowing musical possibilities. In addition, Lill (2014, 225) reminds us that in Green’s 2002 research on popular musicians, “the youngest participant was 15, with the average age of participants far older.” In her view, “This indicates a ‘top-down’ approach to informal learning practices in schools—drawing on the informal learning practices of older adolescents and adults, and applying them to teenagers and children who may or may not learn in a similar way” (225–6). Both Allsup and Lill alert us to the risk in assuming that there would be only one informal way of learning music and that that this would be Green’s model which, in their view, tends to be restricted to one type of popular music and does not represent the way students at school age experience music. A more careful study of Green’s model, however, reveals that the informal learning practices she proposes are not related or restricted to a certain musical style. Rather, they concern learning processes directed by learners themselves as they experience the five principles aforementioned. These five principles were incorporated into a seven-stage model that worked as follows: In Stage 1, learners bring the music they want to play, get into friendship groups and try to play the chosen music by ear. In Stage 2, learners are given pre-prepared materials that consisted of audio tracks of a song to which they have to listen, copy by ear, and create their own versions. In Stage 3, learners are asked again to bring their music, repeating Stage 1 after their experience of a more structured second stage. In Stage 4, learners create their own music based on their learning of listening and copying audios. In Stage 5, more experienced musicians demonstrate how learners can compose a song. In Stages 6 and 7, learners work with classical music in a similar way they did in Stage 2 with popular music, by receiving pre-prepared audio tracks of classical repertoire to be played by ear and then creating their own versions. In Stage 6 the classical repertoire is more familiar to the learners, whilst in Stage 7 the recordings are mostly unfamiliar (Green 2008, 25–27, 194). It is worth pointing out that the classical repertoire was chosen because that was the kind of music those students mostly disliked. Green suggested that if this model proved successful with music they disliked, it could work with any kind of music. Being jointly responsible for the educational process is a feature of so-called critical pedagogy, which promotes a critical reflection on both teachers’ and learners’ attitudes in order to avoid oppressive practices. Moreover, critical pedagogy enables students’ empowerment, inasmuch as they “learn to critically appropriate knowledge existing outside their immediate experience in order to broaden their understanding of themselves, the world, and the possibilities for transforming the taken-for-granted assumptions about the way we live” (McLaren 2017 , 72). Using Green’s informal music learning strategies in high school ensembles, Abrahams, Rafaniello, Westawski, Vodicka, Wilson, and Abrahams (2011) illustrate students’ empowerment through their deeper understanding of sonic relations while making music, and through independency and freedom to learn from others, validating and expanding their and their peers’ (musical) knowledge. In their research, they conclude that “Students, working independently and with minimal intervention from their teacher, become better musicians. They take ownership and feel empowered. Their musical contributions broaden the culture of the ensemble” (28). Moreover, they also found that informal learning practices changed power relations inside their classrooms, nurturing “mutual respect for the abilities of students by their teachers and from the students to their teachers” (28). Taking this approach to higher education, Varvarigou (2016, n.p.) has concluded that “playing by ear within a group seems to have contributed to the development of individual aural skills but also to have enabled groups with diverse skills to learn how to work together.” Both pieces of research demonstrated that informal learning practices have been helping development of musical skills, knowledge, and improving personal and interpersonal skills that promote attitudes of respect to diversity, collaboration, and understanding of each one’s potentials and limitations. Far from reproducing technical or instrumentalized approaches of learning and teaching, those studies illustrated a Freirean humanizing view of education nurturing “pedagogical activities that ignite both [students’] passion for learning and their creative engagement with the world around them” (Darder 2017 , 103). It was that engagement and enthusiasm for learning that I tried to promote when adapting informal learning practices to the Open University of Brazil. This section will present how Green’s model was adapted for teaching and learning in a module at the Open University of Brazil. I wanted to investigate the extent the integration of Green’s pedagogy into that distance education program related to the Freirean humanizing and liberating education I sought in my praxis. As an attempt to counterbalance the view of education as a commodity, I wanted to revive community values of collaboration and solidarity, which could encourage the above-mentioned passion for learning and for taking informed actions to transform our (educational) praxis. The module was offered six times, from 2011 to 2016, and focused on the first and second stages of Green’s seven-stage model. As an action research project, each of the six iterations of the module, varying between 8–16 weeks in duration, served as a reflective intervention to improve my actions as a module supervisor. Finding resonance with what Cain (2012, 415) understands as a participatory paradigm in teachers’ action research, I acknowledge that my worldview is partial and seen from inside a situation, as we (students, tutors, and I) participate in it. In each iteration, my actions were informed by the learning and knowledge I was developing during the module. As a result, there were changes in each iteration of the module based on previous offers and on the participants’ feedback, gathered through an online questionnaire and some interviews. In brief, the module aimed to give students the opportunity to enact Green’s informal learning practices of making music in a group, listening to prepared audio materials broken into different musical lines or riffs, playing them by ear, and making their own version of the music. After such musical activities, since that module was part of a music teacher education program, undergraduates were asked to prepare pedagogical materials and try this informal model in school classrooms. These activities were organized by local tutors, who supervised face-to-face activities in local support centers. Sometimes the activities were witnessed in person by the associate tutor, who usually interacted online, or by myself; other times they were followed at a distance using videoconferencing tools such as Skype and Google+ Hangout. The first offer was an attempt to implement Green’s Stages 1 and 2 as closely as possible to the way in which they had originally been conceived; thus, for the first musical task, university students brought a song they liked and, in their support centers, met their peers and together tried to copy the song by ear. For the second musical task, they also got together in support centers, chose one of the three songs from the Musical Futures website, downloaded the audio files of the chosen song, and tried to copy the audio files by ear. Although there were other resources such as chord indications and tablature on that website to assist with learning the songs, I decided not to use them because I wanted undergraduates to develop ear playing. Later on, when they were asked to prepare similar audio materials and to plan similar activities for their school pupils, I showed the website resources to illustrate what kind of materials could be made. Face-to-face activities such as these musical tasks occurred only once a week in each support center and local tutors had to assist other tasks required in other modules in that weekly three- to four-hour encounter. Therefore, depending on the amount and difficulty of the tasks of other modules, the musical activities planned for this informal learning module could be longer or shorter. Thus, when there was time, students also created their own versions of their chosen song. Since the school practice would focus on Green’s Stage 2 involving listening to pre-prepared audio tracks of a musical piece, playing by ear and creating versions of that piece, the second iteration included two musical tasks based on that stage. During these two iterations, as the supervisor of the module, I was able to visit some support centers and witness 10 musical practices, facilitating the activity and participating whenever I thought it would be appropriate, bearing in mind I would be a teaching model in this informal learning approach. These observations made me realize I had some expectations about certain learners based only on their online participation and not on their face-to-face musical engagement. In this distance education course, students send videos of their musical practices to be assessed together with written assignments and other online activities submitted via the Moodle platform. Therefore, the focus tends to be only on the products submitted, disregarding the processes of creating them. It was only during the participant observations that I noticed that the musical leaders were not necessarily those who posted every assignment and who had received positive feedback. Rather, the leaders tended to be those with the musical skills required for certain tasks. In the case of playing by ear, the leaders were usually those who found the notes easily on their instruments, acting as a model to their peers, playing with their colleagues and helping them find the notes on their own instruments. This understanding alerted me to a restricted and biased view that I had held about my students, namely that a “good” student would lead both online tasks and face-to-face musical activities. In addition, it pointed to a mechanism of “surveillance” or, in Selwyn’s words, “dataveillance” (Selwyn 2014), in which technology might be contributing to construction of understanding about users according to their logs, activities, and uses of certain technological tools. This tendency to reduce our understanding (or knowledge) of someone to information provided in internet profiles or logs and activities carried out in virtual learning environments, contributes to a neglect of our humanness. Such a fragmented view of the educational process, that relies only on what is registered in the platform, and the contrast between what is presented online and what was observed during the musical practices, suggested that the usual way the work had been assessed might have neglected some student musical abilities not evident in the final video submitted for assessment. In response to this, from the third iteration I included synchronous online observations using the videoconference tool of Google+ Hangout or Skype so that, even at a distance, the process of students’ musical practice could be witnessed in real time. In addition, tutors or the module supervisor could suggest students how they could improve their performance and attempt to solve their doubts. This way, assessment could be more comprehensive, including the redistribution of tutor’s and supervisor’s attention to both process and product of students’ musical activities. Moreover, it would recognize musical abilities that are not necessarily evidenced in the final musical product, but are nonetheless essential and in themselves valuable, such as the musical ability to pick out and play pitches by ear, and the interpersonal ability to integrate others into the musical practice, without alienating them. The use of technology, thus, must be constantly problematized. If, on the one hand, it may contribute to a dehumanizing and fragmented view of one’s potential, on the other hand, it may foster interactions in a way that our “humanness” can be better known. The use of videoconferencing tool of Google+ Hangout also enabled me to see the local tutors in action, which helped the creation of a more cohesive team of teachers as an attempt to minimize the fragmentation of teachers’ roles (and potential dehumanization) imposed by the current organization of this specific distance education course. However, it is essential to stress that the mere use of videoconferencing does not determine that such interactions will lead to cohesion or “humanness” because participants may opt in differently and groups interact in many different ways. Taken-for-granted beliefs that certain technologies would cause or determine a prescribed effect, provide an example of a naïve transitivity stage of consciousness conceptualized by Freire (1970, 2005 ). Despite awareness that we are beings in relation with others and with the world, “For the naïve thinker, the important thing is accommodation to th[e] normalized ‘today’” (Freire 2005 , 92). A critical transitivity stage of consciousness, on the other hand, would search for a “continuing transformation of reality, on behalf of the continuing humanization of men” (92). This “technological determinism implies diminished human choice and responsibility in controlling technology” (Pannabecker 1991, 45), as if technology was on “a separate sphere, developing independently of society, following its own autonomous logic, and then having ‘effects’ on society” (MacKenzie and Wajcman 1999 , xiv). In the third iteration of the module, in 2012, the musical activities were planned as the preparation of the pedagogical materials. This was similar to Green’s Stage 1, where students were asked to choose and bring the music with which they wanted to work. The difference was that, from the very beginning of the module, students had to think of possible repertoire and, once decided, they made a musical arrangement, containing riffs to be played with their friends in the face-to-face encounter. Therefore, instead of only copying by ear, in this musical task students also arranged the chosen music considering their pupils’ musical abilities. The musical line each participant played in their ensemble was recorded and used as a starting point to prepare the pedagogical materials. Once the materials were ready, they were exchanged amongst the different support centers, which was an idea suggested by a student during his interview at the end of the second iteration. This was Green’s Stage 2, which focuses on working with pre-prepared materials, using peers’ materials. In some centers, this musical practice was carried out by an associate tutor, with the support of the local tutor and supervised at a distance by me, using Google+ Hangout. These musical activities were audio recorded and the files uploaded in SoundCloud, a free platform that allows people to share audio files and to comment on tracks, at precise points in a recording. The excerpt below shows the associate tutor Bebel suggesting the points where a second voice could be added, since the submitted material had only a male vocal and she thought it could be interesting for the school pupils to have a female voice as another reference. The names of all participants in the module, including tutors, have had their names replaced by pseudonyms for the purpose of this paper. [Associate tutor] Bebel at 0.16: I’ll make some suggestions to try to include Joyce’s voice. They’re just suggestions, so, don’t feel obliged to follow. Yet, I think it would be very important to put a female voice. This part could be sung by Nelson. [Associate tutor] Bebel at 0.36: Here Joyce could start singing this part. [Associate tutor] Bebel at 0.57: I think the trumpets were too loud and the vocal had little emphasis. Perhaps you should “clear” the recording so that the vocal could be highlighted! [Student] Joyce at 0.59: After analyzing it, I agree that the trumpet was emphasized instead of the vocal. We’ll correct it. [Associate tutor] Bebel at 1.00: In the chorus, the two voices could sing together or having one being the “echo” of the other. I don’t know what this last option would sound like, but the only way to see if it sounds nice or not is trying! This modified version of Green’s Stages 1 and 2, which worked as a starting point to devise the pedagogical materials, was adopted in the fourth and fifth iterations of the module, in 2013 and 2015. It was not adopted in the sixth iteration, in 2016, due to the small number of students enrolled, and spread across different centers. Alternatively, students in this last iteration worked individually with audio materials from Green’s (2014) Hear, Listen, Play! handbook, whose “main focus is on the practicalities of putting into action a set of teaching-and-learning strategies derived from the informal learning practices of popular musicians” (Green 2014, xvii). Therefore, in the sixth iteration, students did not choose a song to be worked on with their school pupils. Instead, working primarily with the handbook material, they learned one of the musical pieces by ear and planned four lessons using it. Besides these tools used during the supervision of musical activities, undergraduates had weekly tasks prepared on the Moodle platform, which functioned as a virtual classroom where they could access texts related to music teacher education, Green’s informal pedagogy, as well as videos and general information about the module. It was also on Moodle that they participated in online discussion forums and built up their portfolio containing audios, videos and written materials used or produced during their musical tasks. The discussion forums and portfolio completion were the main online tasks in all the six iterations. In the last two iterations of the module, which lasted 16 weeks instead of eight, students also read a book by Freire and prepared an online seminar to discuss his main ideas. In the fifth iteration, students read Pedagogy of the Oppressed and highlighted Freire’s banking concept of education and his advocacy for a dialogical education. In the last iteration, students reflected on the requirements for teaching suggested in Freire’s Pedagogia da Autonomia [Pedagogy of Autonomy]. Among those requirements, they highlighted the critical reflection on teacher’s practice, the respect to learners’ knowledge, and the consciousness of the unfinished nature of teachers and students. Other extra tools were employed, including the micro-blogging site, Twitter and Lino It, a web sticky note tool, aimed at opening channels of communication. The tools employed within and external to Moodle were chosen to promote interactions in a dialogical and problem-posing pedagogy reflecting aspects of that advocated by Freire (2005 ). However, analysis of the actual uses of these tools points to different kinds of interactions. The next section will discuss how technology was used in the module and the extent those uses related to the Freirean humanizing and liberating education I sought in my praxis. As Abrahams et al (2011) have reported, Green’s informal learning musical practices give voice to learners to conduct their own learning process, contribute to learners’ autonomy and emphasize involvement with music-making (integrating purposive listening with performing and musical creation). In addition, due to a dialogical approach to music learning, in which teacher and taught can learn from each other, implementation of Green’s model may change both students’ and teachers’ perceptions about themselves, about their abilities, and about each other. Also stressing students’ own control of their learning during the implementation of informal musical practices, Wright (2014, 32) suggests “that informal learning provides opportunities for the disruption of previously rationalized musical knowledges. It permits the equal/unequal relationship between teacher and student to be rebalanced by allowing students to be in control of the music and the learning.” These outcomes of informal learning find resonance in critical pedagogy and in Freire’s liberating education, which “is dialogical in nature” and, as such, requires both reflection and action to transform the world and the relationships we establish in the world, with the world and with each other (Freire 2005 , 139). Similar to the above-mentioned pieces of research, mine also found informal learning as a potentially liberating and humanizing approach for some of the reasons already discussed, such as learners’ autonomy and the dialogical relation between teacher and taught. However, I also found some misconceptions and misunderstandings related to both Green’s and Freire’s ideas, which resulted in musical practices very different from a liberating education (see Narita 2015a, 2015b, 2016). This section will discuss how the choice and the use of technology in the module might have contributed, or not, to achieving a humanizing and liberating practice. As previously mentioned, the two main activities set up in the Moodle were the discussion forums and the portfolio. They were chosen with the purpose of nurturing interactions, autonomy, and collaborative learning. Together with the musical practices in a group, they were intended to “counterbalance” exacerbated notions of competitiveness and individualism. Although the use of those tools does not determine that (if, or how) interactions, autonomy, and collaboration will happen, they were chosen because, among the available tools in the Moodle, they seemed to me to be the most suitable ones to allow interactions to occur. The forums were set up to share opinions and doubts in discussion threads related to a specific text, video, or activity. Undergraduates were placed in different discussion groups, according to the location of their support centers. As a result, they could only view and participate in the discussions of their own group. Differently, the portfolio was set up using an activity named glossary, which allowed participation across the groups. Thus, they could see and comment on the posts of all the participants. My intention with the use of both tools was to offer students a virtual space where they could voice themselves and, through interactions with each other, learn from their peers and help themselves build up their own learning. These assumptions were in harmony with Green’s informal music learning model adopted in this study, and also with Freire’s dialogical praxis, aiming at the development of conscientization and, ultimately, potential humanization. However, despite my assumptions and planning, the kinds of interactions did not necessarily lead to collaborative learning. Collaboration could be understood as a mere “division of labor,” similarly to a “factory mode of work” in which each participant is responsible for a certain task and does not necessarily learn anything from repeatedly doing that task. Associate tutor, Helena, flagged the lack of interaction between her students in the Moodle activities. This type of “coerced” interaction was also evident in the informal resources such as the social media included in the module. Since those interactions were planned for the module, it could be argued that, to some extent, I was the one who “forced” that contrived collegiality. This was reflected in the reproduction of a collaborative discourse that I found in undergraduates’ responses in the anonymous online questionnaire that students were asked to complete at the end of each iteration, to evaluate the module. Their responses related to collaboration in online activities were generally positive. However, the fact that some tutors like Helena and I did not see much online collaboration among students might indicate that participants could have given answers that they thought would be “correct,” not necessarily what they “really” thought. In that case, this “simulated compliance” could be interpreted as a subversion of that contrived collegiality (Hargreaves 1994, 208, cited in Grieshaber 2010, 444). Social media such as Twitter and Google+ are examples of what is known as Web 2.0. Unlike Web 1.0, that presented a “top-down,” broadcast mode of delivering information, Web 2.0 is viewed as a participatory “many-to-many” collaborative platform of co-construction of information (Selwyn 2009, 72–3). Because of the possibility of user-generated content, Web 2.0 seemed attuned to the principles I was highlighting in informal learning, such as student-centeredness and collaborative learning. However, Poore (2014, 167–8) stresses that “much of Web 2.0’s socialness is about engaging with events and surface ‘contacts’…and not necessarily with concepts, ideas and the life of the mind.” In this sense, recalling Freire, Poore affirms that “Web 2.0 is quite often more about being in the world, rather than with the world” (168, emphasis in original). Therefore, its platforms and functionalities might be used as tools for conviviality rather than criticality, linked to commercial rather than educational interests (Friesen and Lowe 2012), and might instigate “a commoditized promotion of self” (Selwyn 2014, 121). The virtual sticky note Lino It, for instance, was embedded in the Moodle platform and was used by a few participants in different ways; mostly to publicize facts and not to engage in dialogue. Local tutor Aline tended to use the notes to remind her students of activities in their support center; and associate tutor Laura used Lino It to motivate her students to accomplish their tasks. Also privileging the act of publicizing, student Sandra posted a “thank you note” for the visit of her associate tutor to their support center. As an illustration of a more interactive use of that tool, student Elizete used the place to post her doubts. Thus, despite its potential as a collaborative tool, the way it was actually used in that module recalled a one-to-many mode to deliver information. Earlier, Selwyn (2009, 76) had posited that even though Web 2.0 may allow participatory learning and collaborative construction of knowledge, evidence shows that in reality, “social web applications appear to be used to engage with learning content and other learners in a number of bounded and passive ways, rather than supporting unfettered active interaction with information and knowledge.” With regard to diversity of online interaction, allowing equal opportunities for anyone who wanted to join a wide range of communities and to voice different ideas, he had pondered that people tend to replicate online the types of contacts they have in face-to-face realms. Thus, current online interactions are not as diverse and as equal as commonly believed (Hargittai and Walejko 2008 cited in Selwyn 2009, 77). Since in the usual academic platform (Moodle), the activities are designed only for the participation of the associate tutors and the students, I chose Twitter as an extra tool to integrate the local tutors into the module. However, tallying with the above-mentioned information, few local tutors joined the community, and no participation from them was detected. This lack of involvement indicates that participatory parity is not achieved by conceding mere access to digital tools of communication and interaction. In order to integrate a group of tutors who had been left aside from discussions in Moodle, and who usually had peripheral access to certain tasks in the course, it was necessary to listen to them and understand their actions as local tutors. The best way to integrate the local tutors into the module, as mentioned before, was using videoconferencing tools, which enabled a “virtual presence” of teachers (associate tutors, local tutors, and supervisor) during activities in the support centers. This way, the local tutors felt their contributions to the students’ musical practices were being valued, validating their participation in the assessment process. Another outcome of incorporating videoconferencing tools was tutors’ more personal view of students, diminishing the effect of that dehumanizing “dataveillance” imposed by the “cold” and impersonal view of them in the Moodle platform. In their interviews, students stressed the importance of using more videoconferencing tools. [Student] Milton: Skype was essential, otherwise I wouldn’t have managed, because of [the problem with] the [Moodle] platform. The informal [tools] were more useful than the formal ones. If we used only the formal, I’m sure I wouldn’t have understood how to do this [teaching] practice. [Researcher] Flávia: Was there an overlap of uses? The use of Google+ Hangout also made it possible for me to have systematic meetings with my associate tutors and local tutors. Those meetings helped us build up a more cohesive team of teachers and, thus, hopefully minimize a fragmented view of the educational process we were experiencing, in which associate tutors would only participate in online activities, and local tutors would only organize face-to-face tasks. As previously mentioned, SoundCloud was used in the module as an extra tool for facilitating interaction and music learning practices. Students recorded their audio tracks and uploaded them in the sound platform so that their associate tutor and peers could comment. As illustrated before, interactions took place. When the associate tutors commented, they oriented students towards improving their audio materials. The students who tried their peers’ materials, as a modified Stage 2, were also asked to make suggestions for improvement, as portrayed below. [Associate tutor] Ivete at 0:00: The second voice is good for playing by ear. Anitta’s comments illustrate one way in which peer-learning occurred online. By asking her peers specific questions, she demonstrated she had tried their materials and, thus, was in a position to problematize the use of them and help their peers to improve those materials before presenting them to their school learners. In addition to this kind of “orienting” comment, Anitta and other students posted various kinds of “motivational” comments, reproducing the celebratory, “convivial” behavior found in other informal social networks. All these comments, however, were not made spontaneously, but were part of the module requirements. In this sense, the interactions that occurred in SoundCloud were as contrived as those carried out within the formal online environment of Moodle. As such, they carry no less importance or value than if the interactions were spontaneous. Nonetheless, they should be recognized as “planned” for a specific pedagogical purpose. Technological determinist discourse would claim that certain tools would have a likely impact, as if they had a predetermined effect. Differently from such a view, when I chose the technological tools for the module, I adopted the concept of “affordance in interaction.” This helped me keep my expectations open for any uses of technology carried out by the module participants or by myself. Affordance in interaction, then, leaves room for users of technology to shape the tools according to our needs, knowledge and contexts, placing the responsibility and agency of dealing with technology in users’ hands as we interact with technology. This is fundamental if people are to control their own actions and fulfil free will as human beings in the worlds they inhabit. Among the technological tools selected for this module, the discussion forums and the portfolio on Moodle usually motivated interactions of contrived collegiality and simulated compliance. They did not contribute to a Freirean liberating practice. However, this was how those tools were employed by those specific module participants. Perhaps in another situation, other participants could use those tools for a fuller dialogical interaction and thus achieve a liberating practice. In relation to the use of SoundCloud, one could also observe a kind of contrived interaction, but it was also a channel to demonstrate conviviality and peer learning. As such, I would consider SoundCloud potentially useful to motivate a humanizing and liberating practice. Twitter, despite its potential for conviviality, was not much used, even for social interactions in the module. The synchronous interactions through videoconferencing tools were welcomed by the participants as a means to humanize our interactions, solve doubts, and construct knowledge, potentially contributing to a humanizing and liberating practice. Informal music learning practices may contribute to challenging “traditional” roles of teacher and learner. In tune with Freire’s dialogical approach, informal learning values (musical) knowledge, experiences, and tastes that learners bring to the educational process, while nurturing their engagement in music-making. Besides, learners tend to develop more autonomy by learning with others and by setting their own musical goals. The adaptation of Green’s pedagogy into a distance education module required a careful selection of the technological tools. Although I had planned the use of these tools considering the notions of learner-centerdness, collaboration and autonomy, the actual uses of technology may have not been consistent with what are understood as “liberating” practices. Despite an initial “disappointment,” those “non-liberating” practices demonstrated how technology was employed by its users during the offers of the module, challenging discourses of technological determinism. Furthermore, analysis of the use of technology may contribute to discussions of participants’ interactions in producing and reproducing certain social dynamics within an educational setting, specifically in relation to informal learning. This piece of research has led me better to understand my position in the online and face-to-face worlds I inhabit, and to view my praxis critically. This involved examining uses of technology employed in the module, alongside the musical, teaching, and social interaction practices carried out in my praxis as a supervisor of the module. As discussed, the integration of Green’s informal music pedagogy into a Brazilian distance learning initial teacher education course has challenged “banking” modes of music education. Despite the emergence of some “non-liberating” practices, but understanding those as part of an educational process that may be transformed, I related Green’s informal music pedagogy to the Freirean humanizing and liberating education in my praxis. A liberating education implies that both teachers and learners are “liberated” from deterministic practices, since they are in charge of their own changes, which can then transform and reshape their own worlds. As I understood my worlds and myself, I was able to harmonize my actions with some values such as collaboration, fairness, and autonomy, that seemed distant or lost in this neoliberal world that instigates competition and reinforces and hastens the commodification of education. This harmonization enabled me to rediscover myself, recognizing myself as a full human, aware of my “incompleteness” and responsible for my actions in the process of “becoming,” constantly reshaping myself, “tuning” interactions with my students and tutors, and transforming my pedagogical praxis. The investigation carried out in 2011 and 2012 was part of a PhD program at the UCL—Institute of Education, University of London, UK, funded by the Capes Foundation, Ministry of Education of Brazil. The oral presentation of this paper on the 10th International Symposium on the Sociology of Music Education had the support of FAP-DF (Fundação de Apoio a Pesquisa do Distrito Federal), Federal District of Brazil. I sincerely thank the careful comments of both reviewers, and editors, instigating a deeper engagement with the ideas presented in this text. Flávia Motoyama Narita has been a lecturer at the Universidade de Brasília (UnB), Brazil, since 2006. She worked in the planning and implementation of the distance education undergraduate music course in that university offered within the Open University of Brazil program. From 2007 to 2010 she coordinated that distance education music course and from 2015 to 2018 she coordinated the Music Teacher Education course. She is currently the deputy head of the Music Department at UnB. She did her first degree in Music Teacher Education at the Universidade de São Paulo (USP), Brazil. She carried out her M.A. and Ph.D studies in Music Education at the UCL Institute of Education, London (UK), where she studied under the supervision of Professor Lucy Green. Allsup, Randall Everett. 2008. Creating an educational framework for popular music in public schools: anticipating the second-wave. Visions of Research in Music Education 12: 1–12. Apple, Michael W. and Susan Jungck. 1990. You don’t have to be a teacher to teach this unit: Teaching, technology, and gender in the classroom. American Educational Research Association 27 (2): 227–51. Cain, Tim. 2012. Too hard, too soft or just about right: Paradigms in music teachers’ action research. British Journal of Music Education 29 (3): 409–25. Darder, Antonia, Marta Baltodano and Rodolfo Torres. 2017. Critical pedagogy: An introduction. In The critical pedagogy reader, edited by Antonia Darder; Rodolfo Torres and Marta Baltodano 1–23. 3rd edition. New York: Routledge. Freire, Paulo. 1970. Cultural action and conscientization. Harvard Educational Review 40 (3): 452–78. Friesen, Norm and Shannon Lowe. 2012. The questionable promise of social media for education: connective learning and the commercial imperative. Journal of Computer Assisted Learning 28 (3): 183–94. Giroux, Henry. 2011. On critical pedagogy. London: Bloomsbury Academic. Green, Lucy. 2002. How popular musicians learn: A way ahead for music education. Aldershot: Ashgate. Green, Lucy. 2014. Hear, listen, play! How to free your students’ aural, improvisation and performance skills. New York: Oxford University Press. Grieshaber, Susan. 2010. Beyond a battery hen model? : A computer laboratory, micropolitics and educational change. British Journal of Sociology of Education 31 (4): 431–47. Mackenzie, D. & Wajcman, J. (Eds.). 1999. The social shaping of technology. (2nd edition). Open University Press, first published in 1985. McLaren, Peter. 2017. Critical pedagogy: A look at the major concepts. In The critical pedagogy reader, edited by Antonia Darder, Marta Baltodano, and Rodolfo D. Torres, 56–78. 3rd edition. New York: Routledge. Narita, Flávia Motoyama. 2015a. Informal learning in action: The domains of music teaching and their pedagogic modes. Music Education Research. Narita, Flávia Motoyama. 2015b. Em busca de uma educação musical libertadora: modos pedagógicos identificados em práticas baseadas na aprendizagem informal. Revista da ABEM, 23 (35): 62–75. Narita, Flávia Motoyama. 2016. Music teacher education and informal learning: Towards a dialogical model to understand music teaching practices. Proceedings of the International Society for Music Education, 32nd World Conference on Music Education, Glasgow, Scotland, 223–9. Narita, Flávia Motoyama, and Lucy Green. 2015. 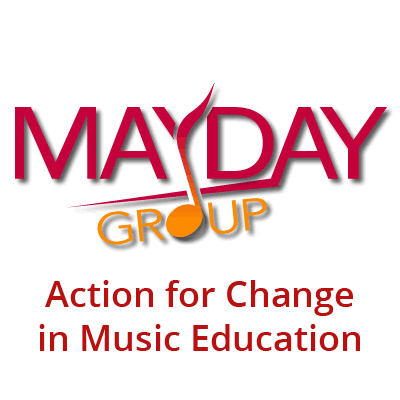 Informal learning as a catalyst for social justice in music education. In The Oxford handbook of social justice in music education, edited by Cathy Benedict, Patrick Schmidt, Gary Spruce, and Paul Woodford, 302–17. New York: Oxford University Press. Poore, Megan. 2014. The next G web: Discernment, meaning-making, and the implications of web 3.0 for education. Technology, Pedagogy and Education 23 (2): 167–80. Selwyn, Neil. 2009. Challenging educational expectations of the social web: A web 2.0 far? Digital Kompetanse 4: 72–85. Selwyn, Neil. 2014. Distrusting educational technology: Critical questions for changing times. London: Routledge. Torres, Carlos Alberto. 2013. Neoliberalism as a new historical bloc: A Gramscian analysis of neoliberalism’s common sense in education. International Studies in Sociology of Education 23 (2): 80–106. Vyas, Dhaval, Cristina M. Chisalita and Gerrit van der Veer. 2006. Affordance in interaction. In Proceedings of ECCE – 13th European Conference on Cognitive Ergonomics, Zürich: European Association of Cognitive Ergonomics.